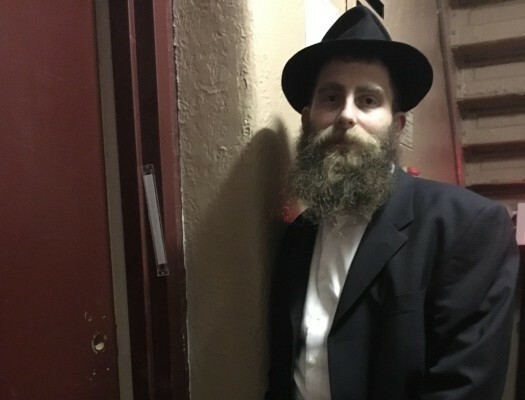 A Manhattan rabbi found himself the victim of vandalism this past Sunday night when he discovered that the mezuza had been ripped from the door leading into his apartment. 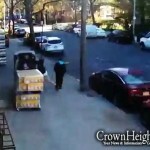 Rabbi Herschel Hartz, a Chabad rabbi who has been actively engaged in Jewish programming in the Inwood section of Manhattan located north of Washington Heights for the past three and a half years, said that his was one of three apartments at 585 Isham Street that had their mezuzas stolen. 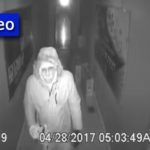 According to Rabbi Hartz, video surveillance from one camera footage shows three teenagers removing a mezuza from the doorpost, with another showing the group leaving the building, removing the mezuza from the plastic case and throwing the case on the floor while keeping the klaf. “My landlord, who is Jewish, saw the footage and told me ‘If that isn’t a hate crime, I don’t know what is,’” Rabbi Hartz told VIN News. Rabbi Hartz and his wife have been living in Inwood for the past eight months. The only Orthodox Jewish family living in the area, Rabbi Hartz said that as soon as he moved in to the building and affixed a mezuza to his doorpost, a neighbor across the hallway hung a cross on her door. Rabbi Hartz filed a police report within half an hour of noticing his missing mezuza. He said that initially detectives at the 34th Precinct dismissed the theft as a stolen property incident, but that after reaching out to elected officials, police began to treat the incident more seriously and have opened an investigation. The theft came just days after a Yeshiva University student was verbally threatened by a man in a Washington Heights Dunkin’ Donuts, who told the 20 year old student to remove his yarmulka and then instructed him to go outside so that the two could fight. Police are investigating the incident as a hate crime, as reported by DNA Info. Rabbi Hartz said that both he and his wife found the theft to be deeply disturbing. “My wife looked at me Sunday night and she said, ‘I never felt like I was the victim of a hate crime before,” said Rabbi Hartz. At a press conference held today in front of Rabbi Hartz’s building, Assemblyman Kevin Wright, who is running for the District 13 congressional seat that includes Inwood, denounced the anti-Semitic act of vandalism. “We are here to reject these heinous acts and to let the community know that we are watching carefully to make sure there is no further destruction of personal property,” said Wright. Needs to be a tad higher I think..
“75% crownheights have theirs too high”??? The Shulchan Aruch says that the Mezuzah should be at the “bottom of the top third” of the door. If it is LOWER than that, it is invalid. Based on this, you claim that 75% of Crownheighters have their mezuzas too high because they placed the mezuzah within 3.5 inches of the top of their doorway!?? Did you bother reading the article before commenting? Why would I do that?? ?